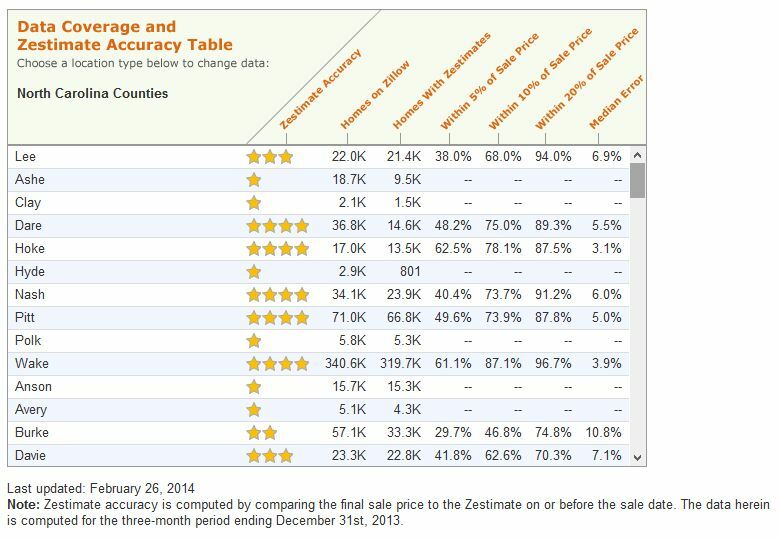 How Accurate is Zillow’s Zestimate? 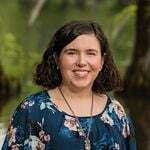 To be honest, Zillow is often a point of contention with Realtors in the Greater Wilmington area. Why? Because the information isn’t always correct, listings are often left “For Sale” on the site when they’ve already sold, and they display values created by a computer that can give consumers the wrong impression about a property. It makes sellers and buyers unhappy, and we don’t blame them. It’s frustrating when we’re trying to accurately represent a home and buyers are calling with serious interest only to find out the home is no longer available. However, Zillow is a major player in the online real estate field, so we must do our best to work with them to provide the best service for our clients. One of the features our clients complain about the most is Zillow’s Zestimate, their automated valuation of how much a home would be worth on the real estate market. Zillow provides a median value and a range that the home may fall into. They claim this is based on a daily update of public data (county records and listing feeds). However, anyone who deals with “fed” data knows that the receiving website doesn’t always translate the information correctly. That’s why 2.5 bathrooms may appear as 3 bathrooms (technically, there ARE 3 bedrooms, but they’re not all full sized) or why 1400 sq.ft. with a 500 sq.ft. addition may only show up as 1400 sq.ft. (the website only knows to read one field). Not saying Zillow is guilty of all of these, but that these are possible examples of how data may be lost or skewed between two websites OR, to complicate things even more, data may be fed from 1 website to another website and onto another website before a buyer sees it. Think of how often that data is translated! Furthermore, county websites aren’t always up-to-date as they have their own schedules for updating records. The most accurate source for information on a home for sale is the local multiple listing service, because the listing agent works hand-in-hand with the owner to provide buyers with detailed information about the property, including upgrades, renovations, etc. As I stated before, we know how frustrating it can be when your property info doesn’t quite line up as it should. In a perfect world, each website would format and read information the exact same way…Then again, placing rules like that can prohibit growth and advancement. So, we do the best we can to make our listings accurate on Zillow. When we list your home, we are given ownership of the listing on Zillow. We then edit the information to match our current records. Zillow isn’t as specific and it doesn’t have all the same fields as the MLS, nor do we have access to all the information displayed, but we do have the ability to edit the information Zillow has stated they use in determining the Zestimate. But, I will warn you, large data sites like Zillow are more computer than human. I’ve personally updated listings only to go back a week later and find something has been overwritten by an automated feed. Owners can also provide their own Zestimate after they claim the property and provide proof that it’s theirs. This Zestimate is displayed separately from Zillow’s numbers. 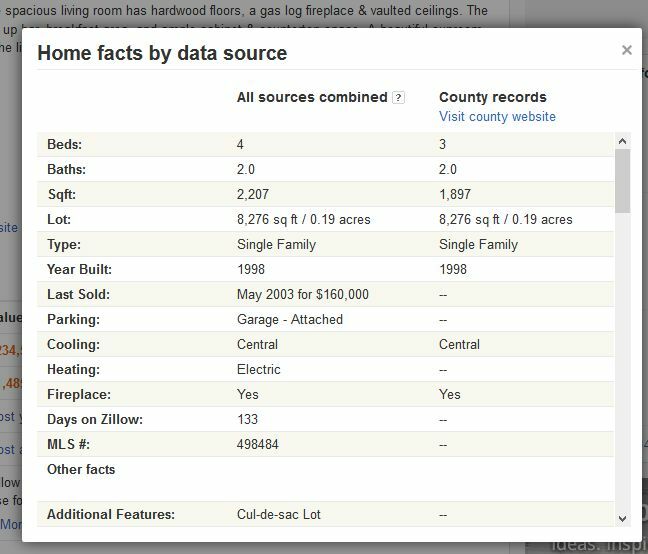 For the benefit of consumers, Zillow keeps track of how accurate their information is by county and state. You can see the accuracy for North Carolina here. You can see how close their initial estimate was to the end sale price and their rate of error. This data is computed every 3 months. In New Hanover County, 87.7% of listings that were sold fell within 20% of the sale price. Additionally, 76.1% of Pender County listings and 86.2% of Brunswick County listings were within 20% of the sale price. Remember, this only includes the listings that were sold. You can see Zillow’s Zestimate is not perfect, but even Zillow says the Zestimate is only a starting point and a Realtor should be contacted before any major financial decisions are made. If you have any questions about this, you are welcome to send us a message.